Bed bugs quickly lead to extreme problems for property owners if they are not contained quickly. Bed bugs spread fast as they attach to clothing, backpacks, and luggage. 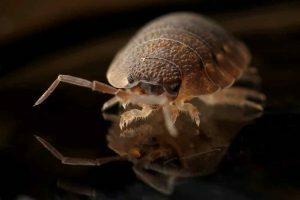 Since it’s hard to determine where bed bugs arrived on the property, most landlords spend their time dealing with the treatment and then prevention. Here are some tips to follow if you suspect bed bugs. One of the best things to do is create a policy so your tenants know how to react if there are bed bugs. Inform tenants to call immediately if they suspect any type of pest. Inform tenants that an exterminator will be called immediately to professionally diagnose the problem. Tenants need to be aware that the inspector will need to examine all mattresses, bedding, couches, and possibly within the drawers of dressers. Since the inspector needs to go through a lot of areas, it is vital that tenants understand how quickly these bugs spread and what they do. Who Pays for Bed Bugs? The responsibility of who pays for the bed bugs will fall upon the person that brought the bed bugs into the building. Identifying who brought the bed bugs can be hard, so many landlords choose to include an insurance policy that covers bed bug costs. Landlords commonly pay for bed bug remediation, especially if the bed bugs were present before the tenant moved in. Failure to have the area treated prior to them moving in could leave you vulnerable to a lawsuit. Remove as much clutter from the home as possible. All bedding, blankets, and such need to be washed in hot water and placed in a dryer. Have them place the washed items in sealed plastic to keep them from getting infected. The home should be vacuumed and the waste should be disposed of outside the home. If bed bugs were found in a mattress, it should be encased in treated plastic for at least a year for the bugs to be completely destroyed. Inspectors will do several things including disassembling furniture, using heat and steam to sanitize and clean. Infested furniture needs to be sealed in plastic encasements until the bed bugs have died. Bed bugs are no joking manner. If you have a report of bed bugs, take this threat seriously. At Keyrenter, we focus on making sue both tenants and landlords are protected. Contact Keyrenter in McAllen, TX to discuss bed bugs and other landlord responsibilities.